This Solar LED Security Light is capable of emitting great, bright lighting while consuming zero electrical cost using the solar energy. We've designed a security light that not only has plenty of features, but also allows you, the user, to adapt it to your needs. You can adjust the timing of the light, you can set the range of the sensing distance, and you can modify the direction the light is pointing at. 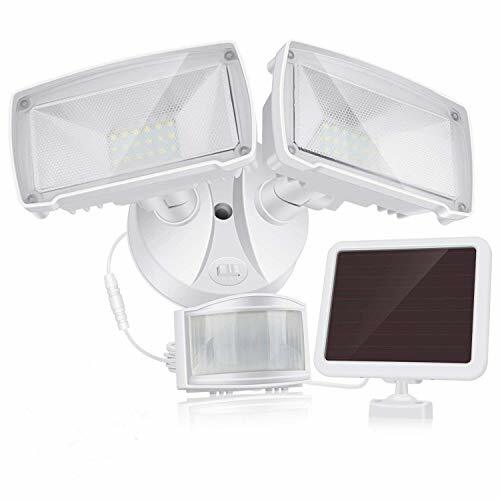 Function: this LED Solar Security Light will emit 950lm great brightness constantly. And OFF MODE is also available if you want it to rest for a short period of time. If you have any questions about this product by SOLLA, contact us by completing and submitting the form below. If you are looking for a specif part number, please include it with your message.